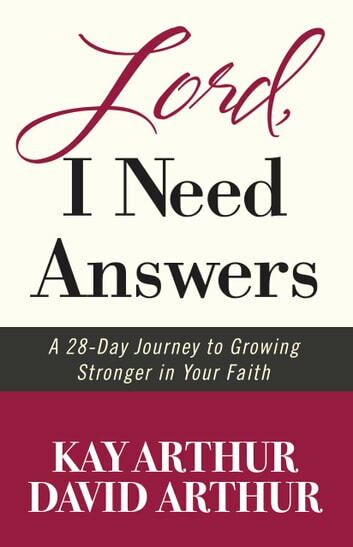 Kay Arthur’s top selling Lord, Teach Me to Pray in 28 Days and Lord, Teach Me to Study the Bible in 28 Days (more than 700,000 combined copies sold) direct Christians toward greater communication with God and exploration of His Word. Now she and respected teacher and leader David Arthur lead a journey to a deeper commitment to and relationship with Christ. 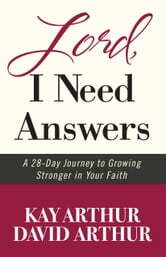 With biblical insight and the clarity of God’s wisdom Kay Arthur and David Arthur reveal what it takes to live out God’s truths, promises, and instruction. This practical and powerful book is ideal for individuals and groups. Formerly Lord, Help Me Grow Spiritually Strong in 28 Days. Saints! the Time Has Come! Let's Tell It!